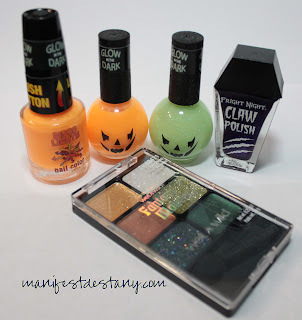 The one with the Ghost with the Most giveaway! Wow! 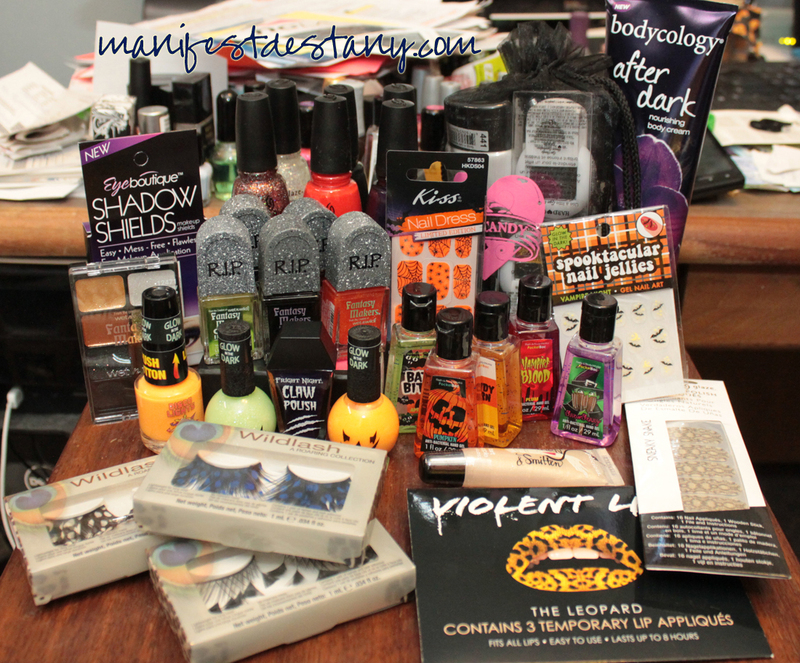 Do I have an amazing giveaway for Halloween this year! 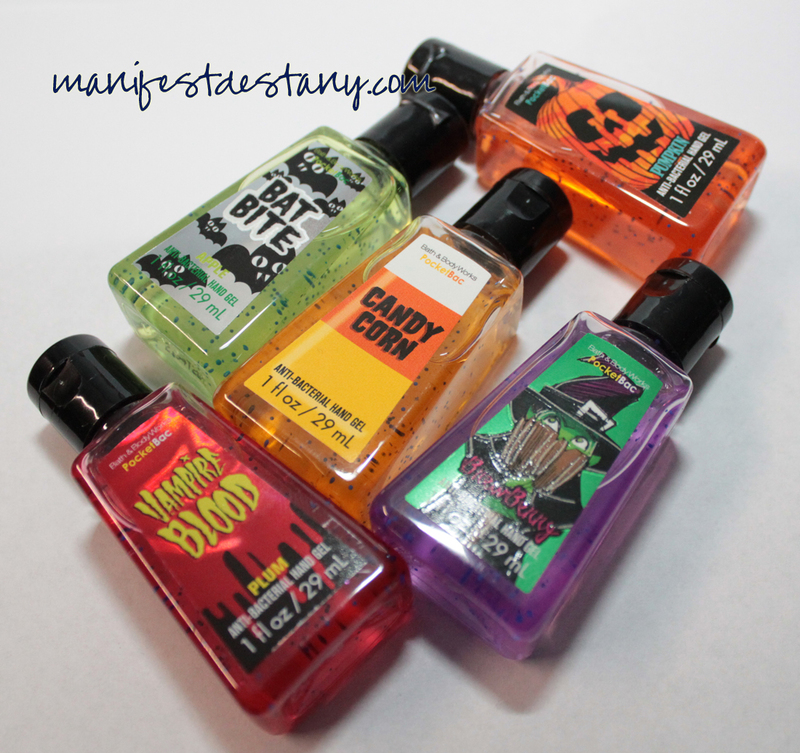 I agonized over how many prizes to give, and I ultimately made the decision to have one winner - that's why you'll be the Ghost with the Most if you win! 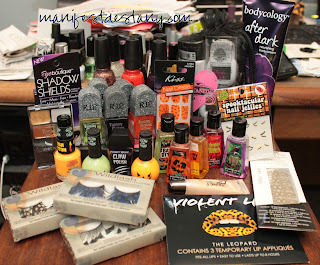 Some of the prizes were purchased by me and some were generously donated!! 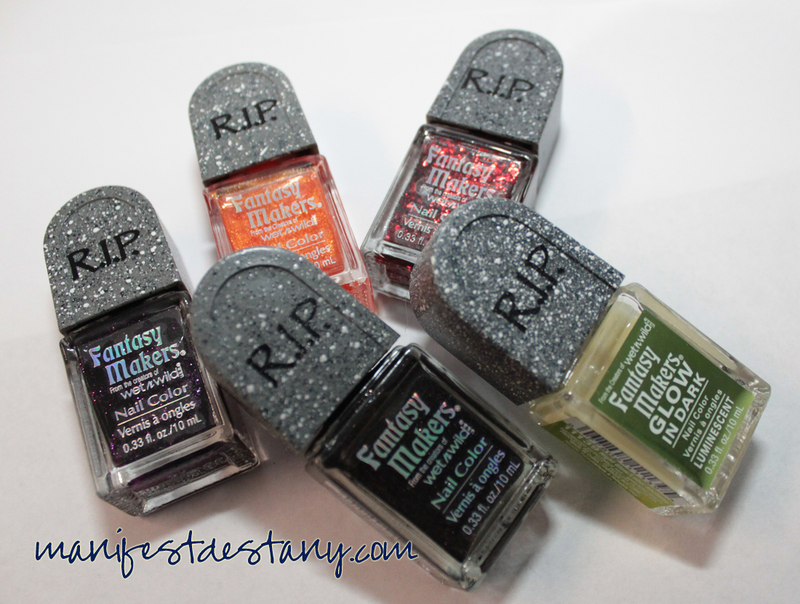 Fantasy Makers Tombstone polishes!! All three from this year, plus the GITD and last year's Creepy Pumpkin! 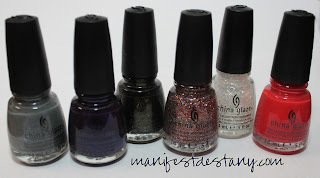 Assortment of polishes and makeup! Disco Light has a light in the lid - and both pumpkins are GITD! The claw polish is purple, from last year, and the pallette is Fantasy Makers Fairy Flight! 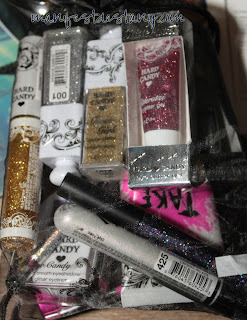 Hard Candy sent this awesome mesh bag full of glittery goodies! Included are lippies, eye glitters, shadows, glitter glue and glitter makeup remover! 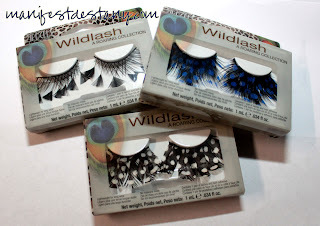 Wildlash sets! They were donated by Ardell Lashes and are amazing on! Endless costume possibilities! Bodycology sent me a sneak peek of their new scent - after dark! 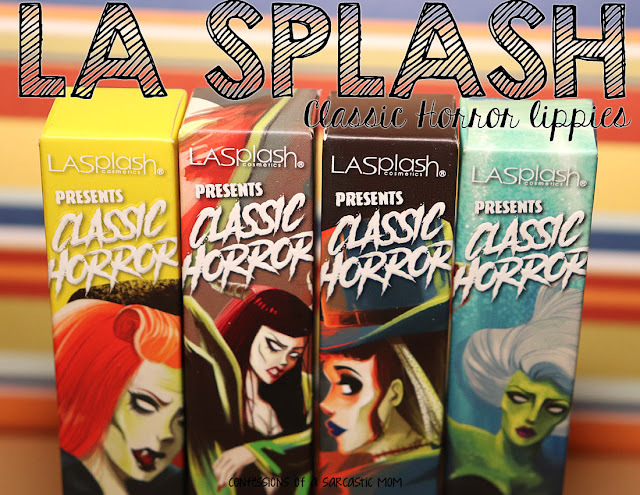 - which won't be available in stores until November! Shadow Shields donated these awesome makeup application assistants! 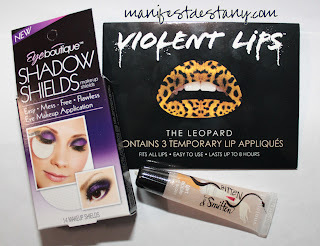 There's also a set of Violent Lips in the leopard print (perk from Cosmoprof) and a Bath and Body Works lip gloss called Bitten and Smitten. Mandatory entries include proving an e-mail address and liking the companies who have sponsored this giveaway and being a GFC follower of this blog (NOTE: GFC has not been retired. You can see the gadget in my right tool bar). There are several other ways to get more entries after completing all mandatory entries. **Entrants must be 18 years or older. ** It is open internationally. 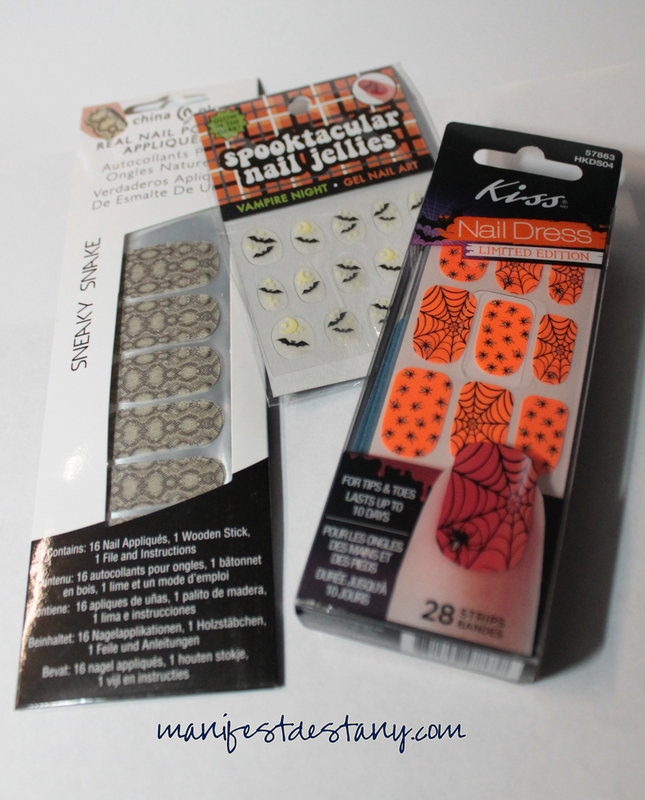 One winners will be chosen by Rafflecopter, using Random.org. One entry per person. Duplicate entries will be deleted. Winners must provide me with a shipping address (no PO Boxes, please), so that we may mail your winnings to you. I will contact the winners and he/she must reply to my e-mail within 48 hours or we will draw another winner. Entries will be accepted until 12:01 a.m. on October 16, 2012.